Our October Maker is here at Handzy and bringing all the funk! If you need a recap, our Maker of the Month series highlights a local (or local-ish!) artist that we carry in our brick + mortar shop. We love giving our customers the opportunity to learn more about the artists we support and what they're working on. Being a platform for other creatives is so important to us and what inspires us daily! The products in our shop are carefully selected and everything we carry is meant to inspire and make us—and of course you!—smile. We're so excited to introduce our October Maker of the Month, LA-based designer Chloe Watkins. 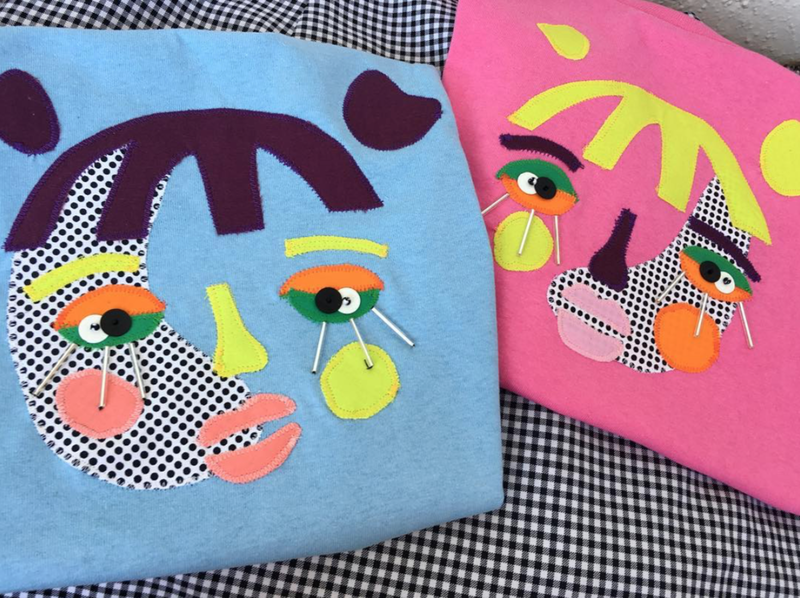 Her line, Chlothing Art, combines fashion and art to create fun and colorful clothing and accessories. 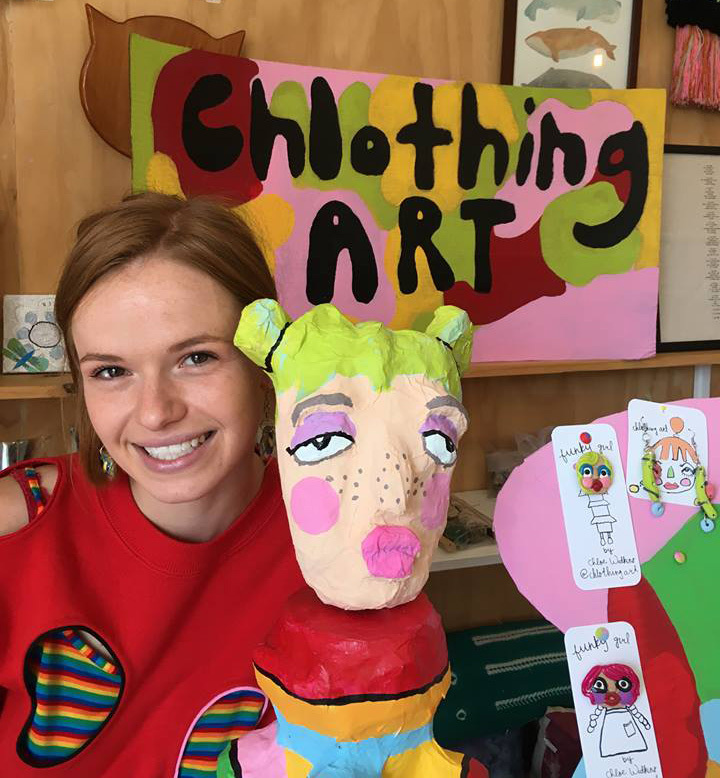 Chloe is a DAAP grad—which is why we consider her to be a local artist—and we just think her pieces are just the cutest! We asked her a few questions to give us a better idea about her brand. Read through to learn more! I started Chlothing Art about a year ago, shortly after graduating from Fashion Design at DAAP [in 2016]. I wanted to continue designing and making things now that I was no longer working on school projects. I decided to come up with some fun, wearable pieces that I can share with others. I love bold shapes and bright colors. I draw a lot of inspiration from sculpture, as well as nature. I have a huge appreciation for the 1960's. I am fascinated by the Mod era and all of the bold prints and patterns that were discovered then. What are your hopes and dreams?! I plan to continue creating my world of Chlothing Art. I want to influence funky girls everywhere with my own wearable Funky Girls. My dream is to one day have [my own clothing line business]. We have some totes and jewelry in the shop now! Be sure to follow Chlothing Art on Instagram to stay up to date on new products and happenings!